What immediately amazed us (during both trips) was how green this country is and that we could travel for hours without passing a village. But above all, it was the genuine friendliness of the Lao and their attitude towards their visitors that we found captivating. None of that pushy & constant “buy from me” business that you often see in other countries throughout the world! The younger backpackers keep spreading the myth that “Laos is what Thailand was 20 years ago”. We think this is certainly not true. Thailand’s many sights were even back then well-known destinations that attracted backpackers and package tourists alike. Whereas Laos has only three places with a fairly developed tourist infrastructure: Luang Prabang, Vang Vieng & now 4.000 Islands, apart from the capital Vientiane. Besides, comparing Laos to Thailand can be misleading. It is enchanting for other reasons. 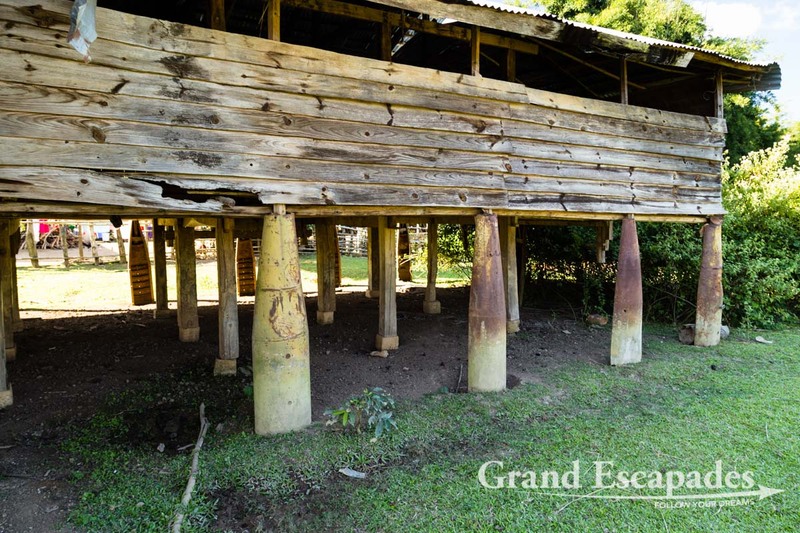 It is very rural and large parts are Off The Beaten Track. 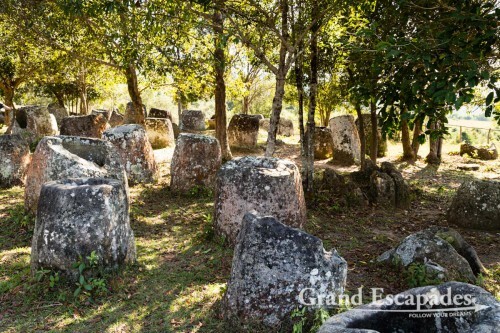 During the off-season, you can easily find yourself to be one among a handful of other visitors in such places. If you stray from the backpacker circuit, traveling can sometimes be time consuming and uncomfortable, but full of lively and often funny experiences. Driving a scooters or motorbike is often the best way to reach an interesting destination. 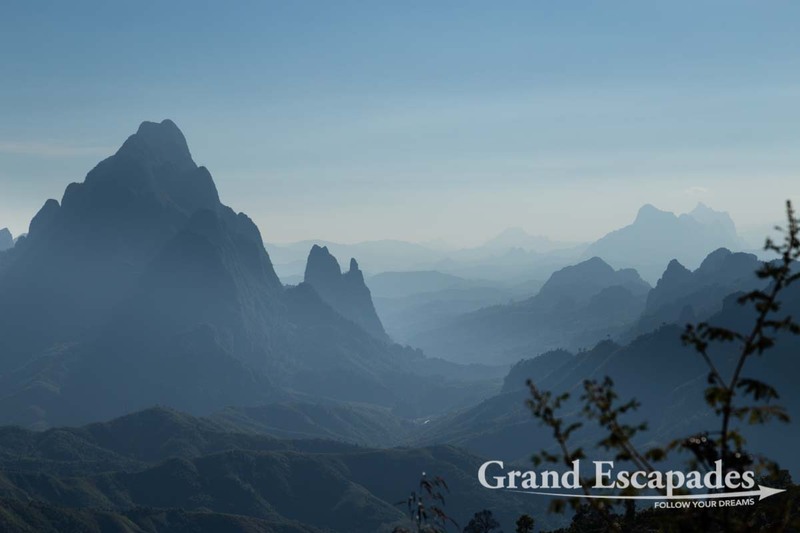 The main activities visitors enjoy in Laos are trekking through the many National Parks, home-stays in remote minority villages, various activities on rivers, a few archeological sites and its stunning Temples or Wats. Take cash! – Euro or USD will get you by far the best exchange rate. If you rely on withdrawing cash from ATMs, keep in mind that you will be fairly limited in each withdrawal – generally less than 200 USD. This might be expensive if you have fix fees on your card, as it is more often than not the case. We truly enjoyed exploring the Plain of Jars, and were stunned to hear that the three sites that are mainly visited are only a small part of a large archeological complex. Of the more than 100 sites 77 are actually accessible for visitors with almost 2.000 Jars thrown into the landscape. To us, the real highlight was the time spent at the MAG (Mines Advisory Group) office watching the videos and displays. To learn the horrid details about the “Secret War” was overwhelming. Apart from that we drove through villages and even got to see some of the “war scrap architecture”. 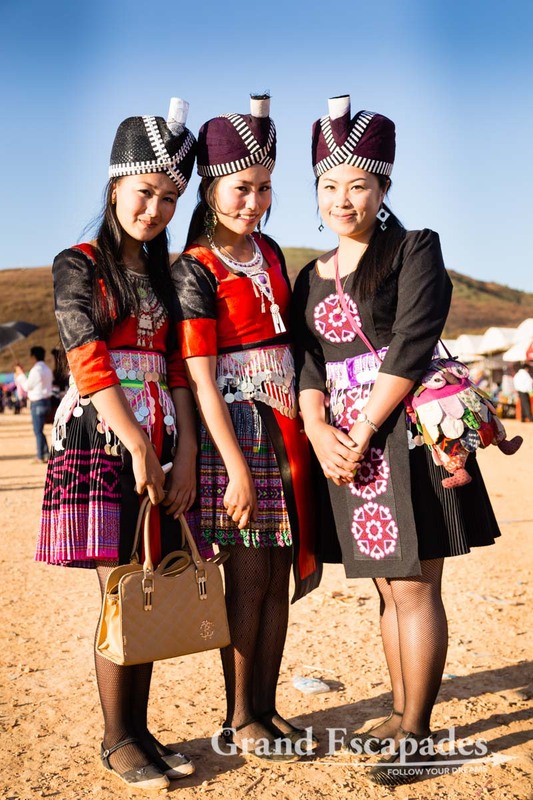 Last but not least, during the trip to Phonsavanh in November 2014, we were lucky enough to be there for the Hmong Festival. We did not even know about it. A fantastic surprise! This temple is truly amazing, but we especially enjoyed traveling there, crossing the Mekong on a small raft and the location up on the hill with a great view. Vientiane – Laos’ very relaxed capital city has a lot to offer and several days are the minimum to enjoy the chilled atmosphere! Driving around on a scooter… No matter if it was in Luang Nam Tha, Phonsavanh or the region of Pakse, those trips were all a highlight! 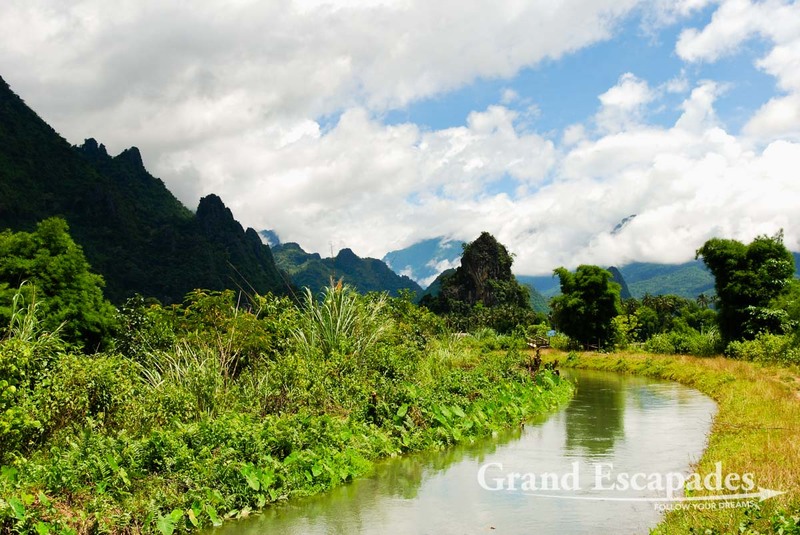 Believe it or not… We truly enjoyed Vang Vieng! Vang Vieng changed a LOT! During our first trip in 2008, we found it bizarre to observe those young “Adventurers” to Southeast Asia spending their days watching re-runs of Friends on TV or getting drunk while tubing down the river. In the evening, they crowded the Internet cafés bragging about their daily escapades. Nevertheless, even then it was very easy to avoid the party crowd and noise by staying far away from the tiny island. 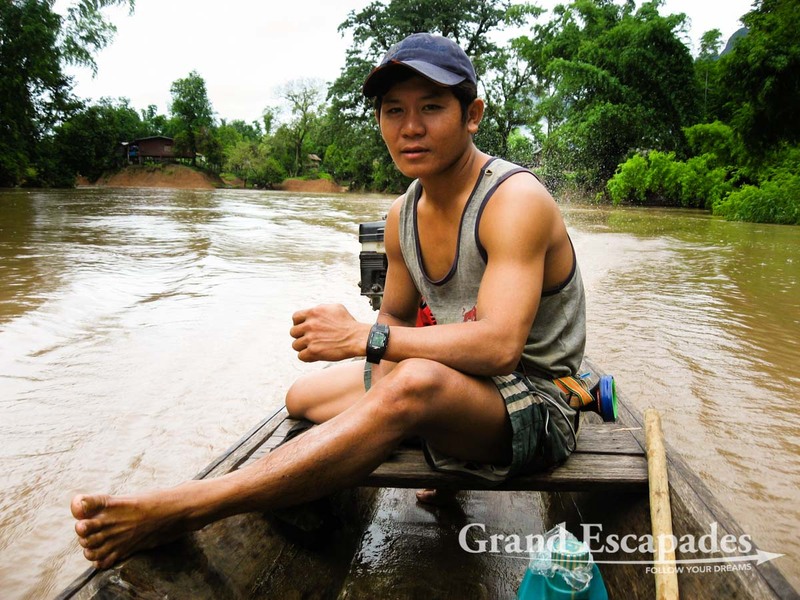 Many places in Laos are actually Off The Beaten Track. 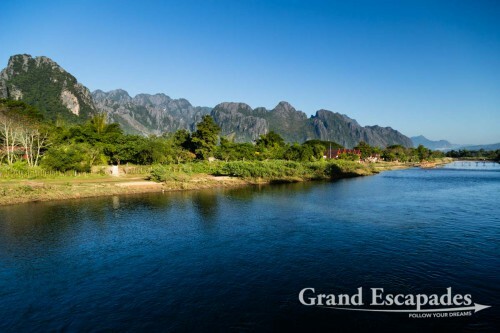 As soon as you stray from the main tourist centers (Vientiane, Vang Vieng, Luang Prabang & 4.000 Islands), you will encounter very few foreigners. 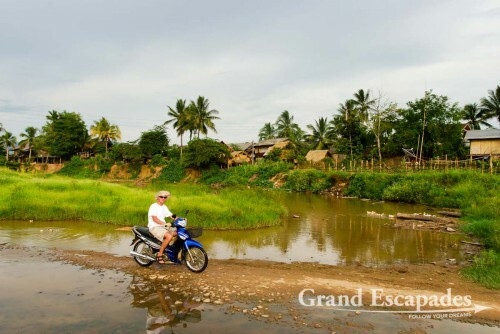 Rent a motorbike or a scooter and head off, in our opinion the best way to discover more remote places in Laos. Plan enough time though, as trips might be quite demanding, especially if you are not very experienced. 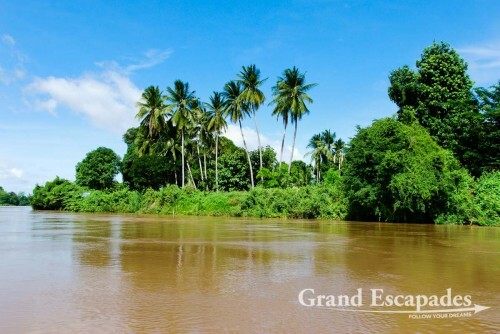 Green – The lush landscape (still) consists of rain forests as far as the eye can see. 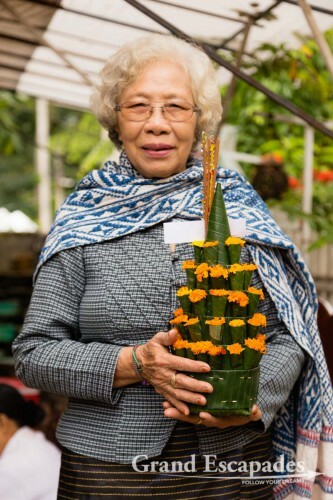 Friendly & relaxed – Lao people are very gentle, and very relaxed. None of that pushy & constant “buy from me” business that you often see in other countries throughout Asia! Windy & Dizzying – Roads in the north of the country are a real challenge… Plan enough time, no matter if on a bus or on a motorbike. A Biker’s Dream – No matter if you are experienced or not, you have many possibilities to rent a scooter or a motorbike and go Off The Beaten Track. A great way to leave the Tourist Trail! 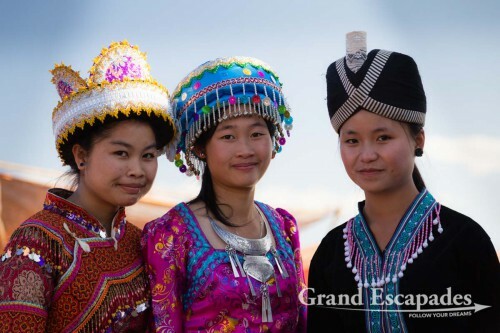 A Photographer’s Dream – Just smile, ask permission, and Lao people will pose for pictures. Take your time, sit down, accept the compulsory Lao Beer you are offered, and take some of the most memorable shots of your life! Dragons – Each Wat is guarded by multiple-headed dragons… I loved photographing them! The trek near Luang Nam Tha was very disappointing, as well as the stay in the Akha village. Only the fact that there was a wedding that night saved the whole tour. 4.000 Islands are probably best visited during a cooler period: in June 2008, without electricity and a chance to cool off, we simply suffered from the heat. 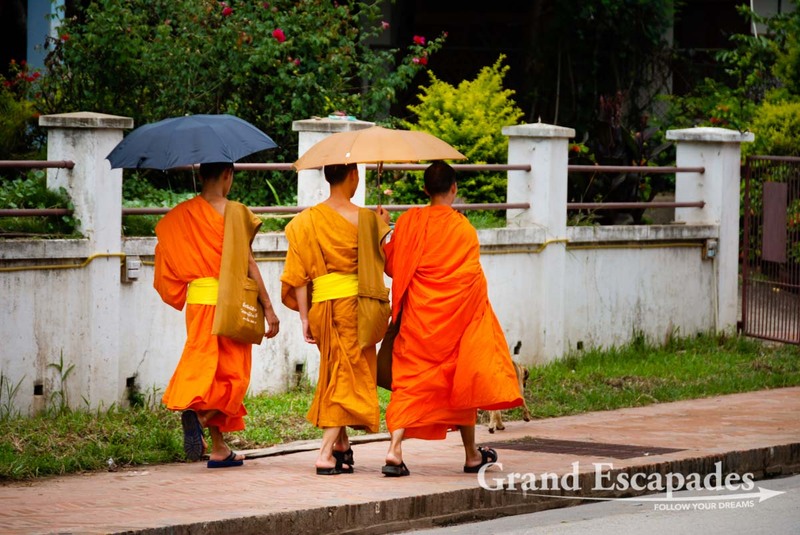 We never understood the hype about Luang Prabang, neither in 2008 nor in 2014. 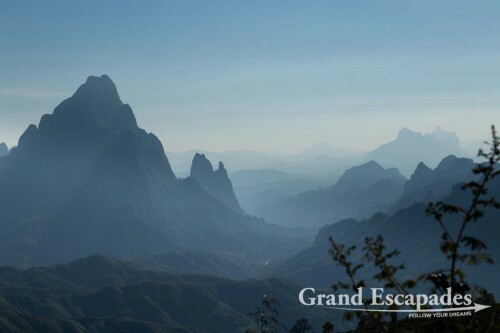 The surrounding scenery is truly stunning, so are some of the Wats and the Museum, but its other “attractions” – a wide range of restaurants & hotels and its very touristy craft market – could be re-created at any place on this globe. Heidi’s long trip to Kong Lo Cave in June 2008… Not a place to be visited in the rainy season, but unforgotten! Not leave a bag in the basket in front of the bicycle – this way it was snatched in Vientiane by a guy passing on a motorbike. Plan more time in Vang Vieng – Without the party crowd, this place is definitely a great location to relax a few days in a stunning landscape and discover all the activities offered there. The Quad Tour in 2014 was a bad idea though, as the path is in terrible shape. 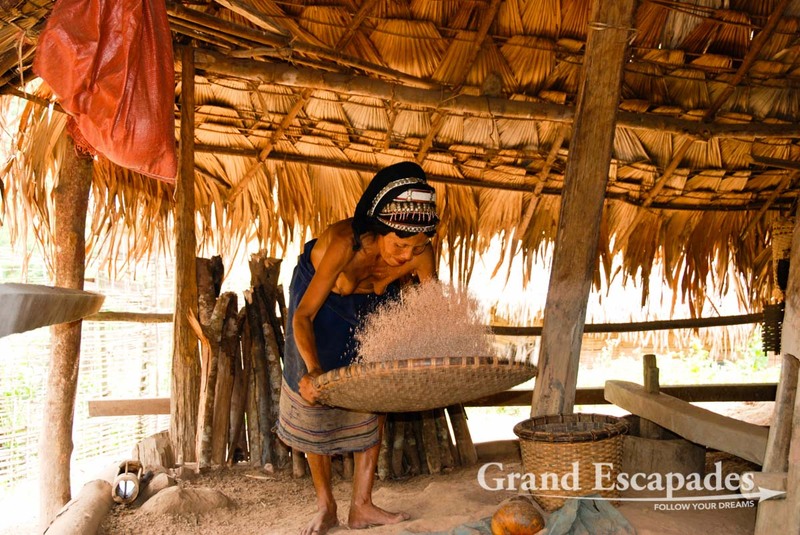 The best time to visit the country, but also the busiest period, is between November and March, the dry season. Temperatures are pleasant during the day, even really cold at night in the mountains, like Phonsavanh. And the skies are blue! Also consider visiting Laos during the summer months: the humidity & the temperatures are high, but the landscapes painted in emerald green. Avoid the end of the dry season, especially April & May. Then temperatures regularly climb above 40 degrees Celsius. Also avoid the peak of the rainy season, September and October, when it can rain a lot and some roads turn impassible. Communication is fairly easy in Laos, as English is widely spoken. In more remote areas, it might turn a little more challenging, but with a smile (and maybe a Beer Lao) communication always somehow works. 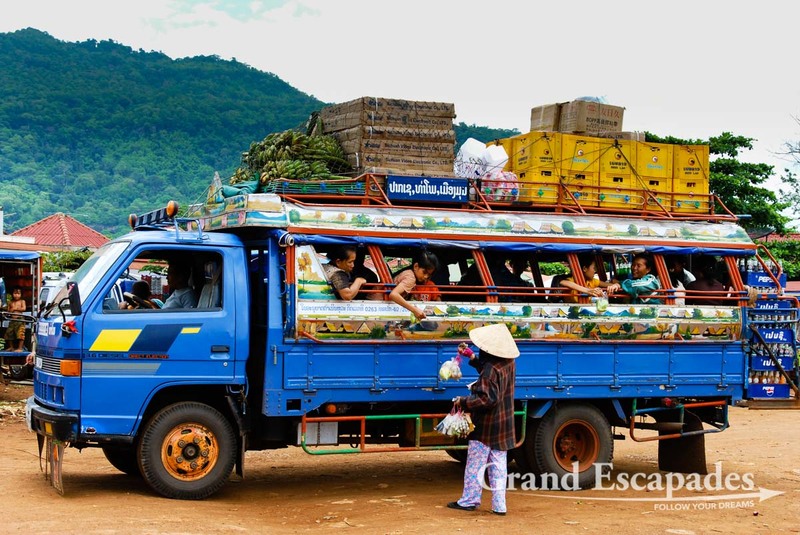 There is a wide network of buses and minibuses in Laos that are reasonably comfortable and very cheap. Also consider renting a motorbike or a scooter to be more flexible and move Off The Beaten Track. The loops we did in Luang Nam Tha, in Phonsavanh & in Pakse were amazing! Entering Laos is extremely easy: at the airport or at most border crossings, you can get a 30-day visa upon arrival (it costs about 30 to 35 USD). Bring an ID picture and USD in cash, and avoid using Euros, as the exchange rate to the USD at the border is 1 to 1! 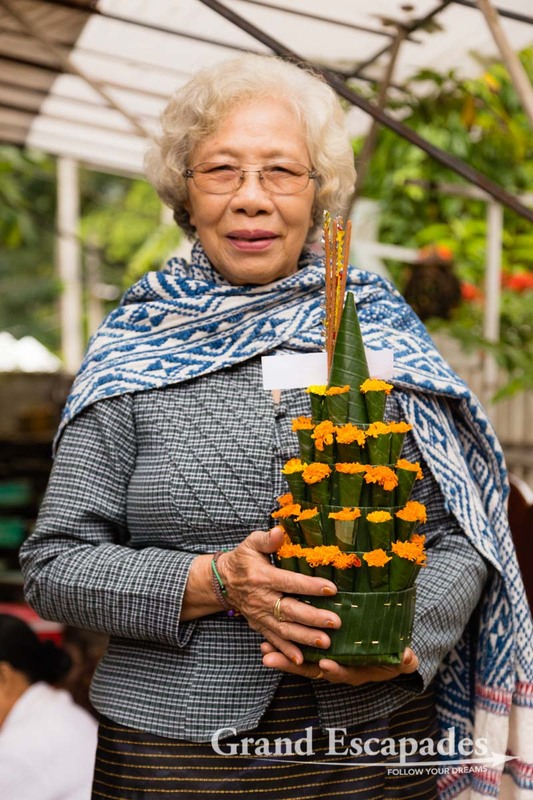 Photography – Laos: People, Landscapes & Wats! Wide Angle Lens – There are many Wats (Temples) in Laos, so bring a Wide Angle Lens along. I had none on this trip to save weight, and it would have created new possibilities for stunning pictures, both inside and outside of those temples. Polarization Filter – Too much light is your major challenge while photographing outdoors in Laos. Hence, you should use one pretty much all the time when photographing outside in Laos, to improve contrasts. People – Do not hesitate to ask – if some people refused being photographed, most people proudly posed for pictures. 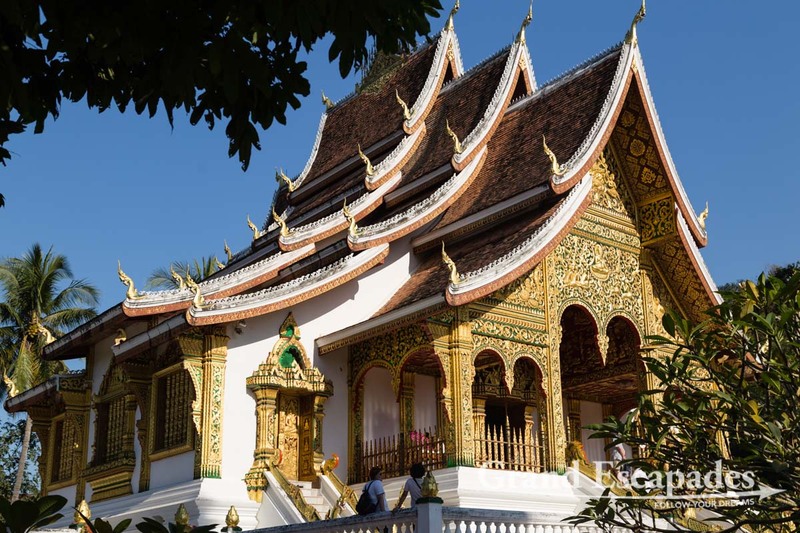 Architecture – The many Wats in Laos are spectacular and offer great photo opportunities. Look out for the details, like for instance the multiple-headed dragons at the entrance of each temple. 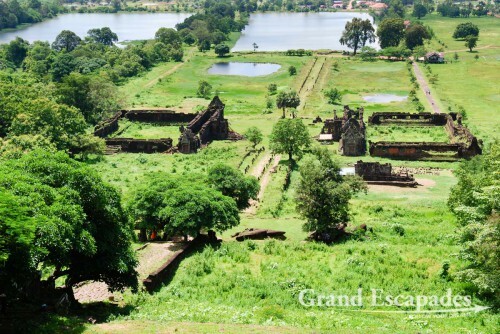 Laos is an amazing country, especially if you take the time and effort to do a few trips Off The Beaten Track. What makes it an even greater place to be is that even a comfortable trip can be done on a very small budget.